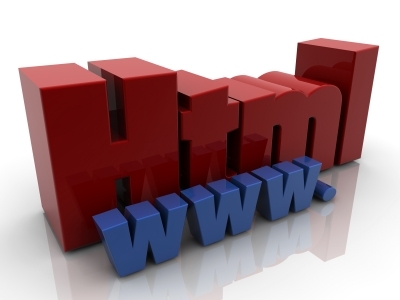 Are you confused with whether you should have a website for your business or not? The use of internet and the presence of website have become a crucial need of the hour. A large number of people throughout the world tend to use the internet and browse for their various requirements over the web on a daily basis. Hence, it is quite essential for your business to have an effective presence over the web. If you have got your own website that clearly speaks about your services or products, it will greatly help you to enhance your web presence and get a greater number of customers. Some of the prominent reasons due to which you must own a website for your own business are mentioned below. Owning a website of your own business allows you to drive in a good amount of traffic to your own website. It is more beneficial to drive traffic to your specific website than to various social media websites like Facebook. As a matter of fact, most of the small business owners tend to make use of some third party websites for internet marketing of their business. Such a technique does not help them to drive in traffic to their primary place of business that is their own business website. It is just waste of time and efforts. However, the presence of your own business website proves beneficial to bring in a considerable amount of traffic to your website and have increase in number of customers from various parts of the world. If you possess your own website then you can effectively control the online branding and images of your products. You need not rely on some other person for promotion of your services. Although you can promote your services and products with the help of various social media websites, you will always have a second place after their brand. It will be beneficial to have control on your online image and branding and not let anyone else to control it. You can enhance the online presence of your own business by developing your own website. No other platform over the web can award with good visibility as much as your own website can. The social media websites tend to be one of the ever-changing platforms. If you use social media websites for promotion, you need to constantly update with the introduced changes by those sites. This won’t let you to control your visibility over the web and furthermore, such flexible platforms can adversely affect your visibility. Do not let anyone else to control the promotion of your products. It will be beneficial to have your own business website for excellent promotion of your services or products. Some professional website design company can greatly help you to boost your online presence by assisting you in creating your own website for greater visibility of your services. You can have direct and unhampered access to control your website, if you have got your own business website. As a matter of fact, there prevails no guarantee to access your own accounts if you have got an account on any social media website. Some of the social media platforms may even suspend your account for supposedly violating their specified terms and conditions. It is always better to have your own control over the promotion and sales of your products and services than relying on others. Hence, it is always beneficial to have your own business website. The assistance of the professional services like web design company can prove highly advantageous for developing your desired website. As the manner in which the trends of the social media platforms are unpredictable, the longevity of these social media platforms is equally unpredictable. You never know when the social media platforms will lose their popularity and demand. Similarly, you never know when their importance will get reduce and they will get disappeared. However, you yourself can control the longevity of your own website. It won’t get suspended all of a sudden. You can work on its popularity by updating new aspects in it and keep it active over a long period of time. Search engine optimization (SEO) has got great significance, in the recent times. However, it is very complicated and tough to manage SEO techniques with help of a third party site. You can have a bit of control over SEO on your various social media accounts however you can have complete control on your own business website. Work on generating unique and high quality content and linking back to your own business website from your social media accounts. Your own control and efforts on promoting your website will prove profitable to you. The social media platforms provide the public great exposure to play, chat with the friends and have great entertainment. Hence, such sites won’t help you to drive in good amount of traffic to your business website. When you will have your own business website, it will focus only on your business without any distractive factor. You will be able to maintain good control over your website, develop some innovative aspects that are beneficial for your business over the web. This will greatly help you to enhance your online presence and boost your product sales. Thus, by having your own website, you can greatly enhance your product sales and elevate the brand of your product or services. Due to all these reasons, every business should have its own website and have direct control over its online presence. This will greatly assist your business website to experience high conversion rates and thereby enhance its popularity over the web. Netflix or Lovefilm – which is the best UK provider?